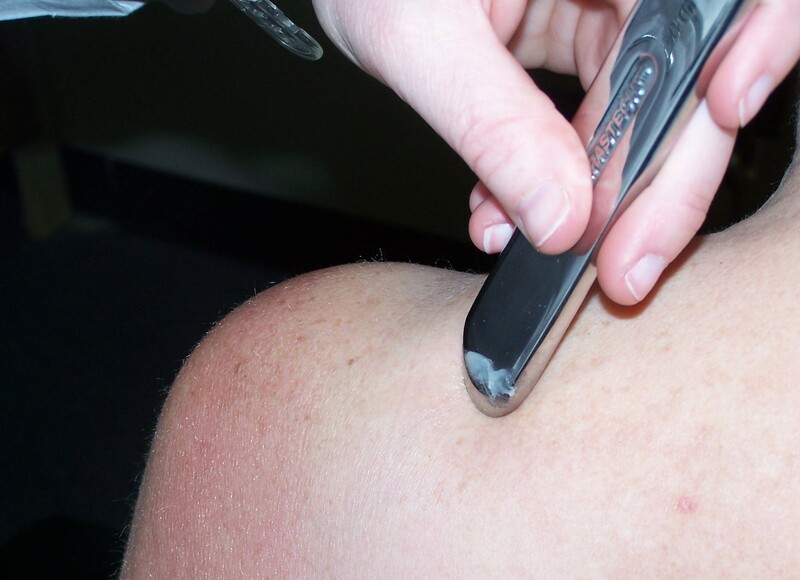 Graston Technique is performed by using specialized stainless steel tools that are made to detect scar tissue, or adhesions, within muscles, ligaments and tendons. Any time a muscle is injured or overused, the body tries to repair itself by forming fibrous bands of collagen. As fibrous tissue builds, range of motion becomes limited. Because fibrous tissue lacks the flexibility and blood supply to heal quickly, pain is often the result. This leads to dysfunction of the muscles, and thus, the joints of one's body. When Graston tools are used, Dr. Vitek and even the patient can feel the restrictions in the muscle or tendon. The feeling of adhesions is rough and grainy, instead of the smooth feel of regular tissue. The treatment protocol is usually 2-3 treatments per week for 4-6 weeks. Most patients experience positive results following the first few treatments.